It’s no secret that online content has changed the way we all do business. Customer feedback can be delivered through online forums, brochures and manuals can be uploaded directly to company websites, and social media has the become the central hub for all things PR. This transformation begs the question, are the old ways obsolete? Have we left behind the days of putting in calls to customer support for troubleshooting advice? For most people, call centers have become more of an option than a necessity, an option that customers can choose to avoid, but one businesses can’t afford to forgego. Many businesses now offer customer and tech support right on their website, allowing users the opportunity to instant chat with a specialist. For anyone willing to embrace new technology, this is far less tedious than waiting on the line for the next available assistant. But while communication technology is developing at lightning speeds, conventional sensibilities aren’t adjusting so quickly. A large portion of the population would like to keep things simple, with a format they still recognize, but just because the customer is old-fashioned, doesn’t mean the support has to be. Call centers provide a much needed service for people who prefer a personal interaction. Often times, FAQs or automated help menus just won’t cut it. Specific issues require specific solutions, and generalized help systems can’t adapt to the customer’s needs the way that human being can. 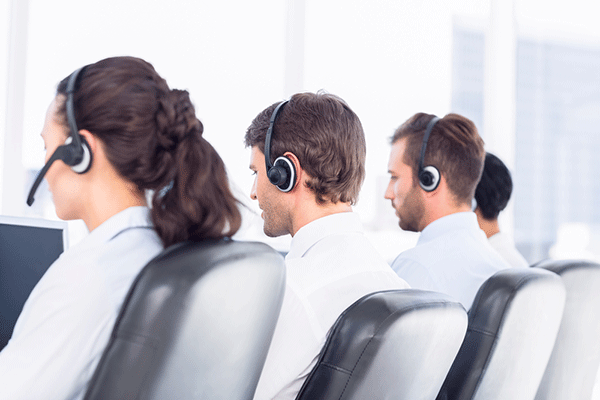 Call centers are still far from being irrelevant. But call centers themselves are evolving, not necessarily in the execution, but in the behind-the-scenes organization. Now, Voice over Internet Protocol (VoIP) route incoming calls through online channels, making all of the old PBX systems obsolete. The modern call center can be as formal as a panel of specialists or as informal as a directory of cell phones. The new technology also offers a wider scope, with VoIPs operating across countries and continents. In the old days, if you wanted to localize customer service in Los Angeles, you would need to set up a call center in California. Now, using VoIPs, you can route calls all the way to an office in New York City, no sweat. In a sense, to ask if call centers are outdated is to ask the wrong question. The concept is still very relevant to market demand. It’s the technology that’s ready for a change. The old services, the old equipment, the old structure, it’s all being replaced by new online conveniences. Call centers will continue to exist for years to come, but they will look very different from the rows of desks with ringing land-lines. Like everything else, it’s transforming, becoming smaller, more mobile, and of course… less expensive.